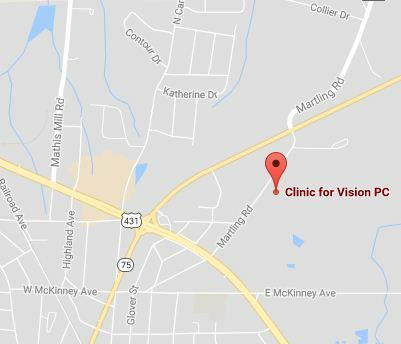 Keep up to date on the latest vision related news and events from Clinic for Vision in Albertville, serving Boaz, Guntersville, and Douglas, AL. Personalized lenses are here! Crisper, clearer vision than you ever dreamed possible thanks to state of the art diagnosis, measurment, and manufacturing. These one of a kind lenses are now available to our patients. My Child Is Having Trouble In School: Visual Problem or Learning Disability? Don’t Miss Our Trunk Show and Patient Appreciation Event on June 15th! The winter brings an increase in instances of dry eyes because of cold and dry air conditions. How about a day with an inflatable play area, free refreshments, music, raffles, and door prises! That's Kid's Day. We will be doing FREE vision screenings, and offering a 50% discount on kid's frames. Kids from 1 to 18 are welcome. Dont miss te fun- and dont miss the savings! For more information call and ask for Denise. We are having a HUGE frame and fashion sow October 16. Watch this page for upcoming details. Dr. Seewell recently was a featured speaker at Vision Expo in NYC.